So, I have lots to write about but I'll start off with my early birthday present from Mr. Newlywed Giggles! Yep, that sweet camera is MINE! He bought me a new digital camera from Canon. I LOVE it. It takes great pictures and the zoom is ridiculous! 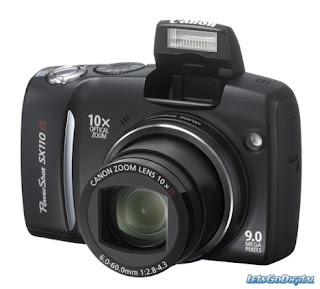 So, if any of you are thinking about purchasing a digital camera, as of now, I recommend this one. It's not super bulky and also contains the best features a big ole super expensive camera would. So, this post is dedicated to Mr. Newlywed Giggles for doing a WONDERFUL job on a perfect birthday present. Happy Birthday to someone who just deserves to have FUN FUN FUN since you are so good at sharing joy with everyone else. Happy Birthday and I am totally jealous of your camera! lucky! my hubby bought me a wonder Canon Rebel XS for my birthday in April and I LOVE IT! !